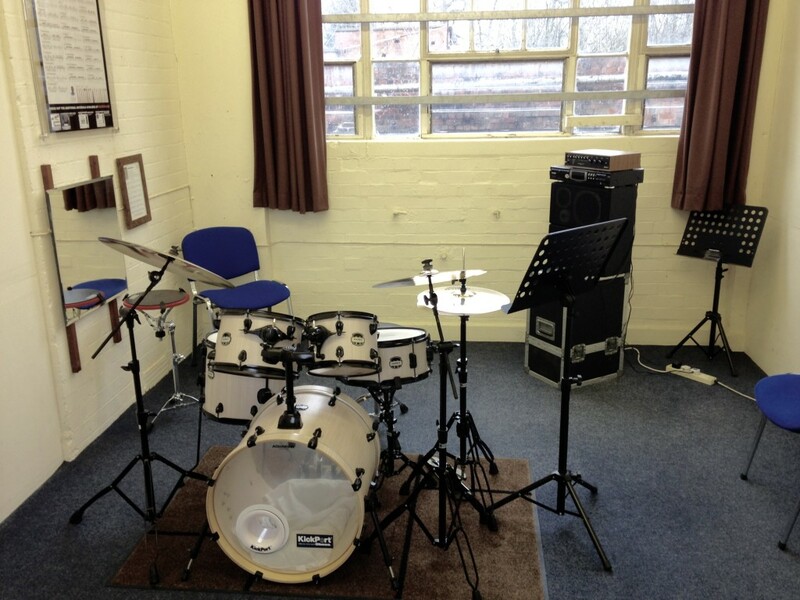 Dye House Drum Works: New Drum Kits, Cymbals and Technical Stations Installed in our Leicester Teaching Studios! Mapex Mars kits have been all the talk here at Dye House Drum Works, with 2 brand new kits for our tuition rooms: a fusion set in ‘Bonewood’ white with black hardware and an LA/hybrid fusion configuration in ‘Bloodwood’ red with chrome fittings and stands. The finishes are stunning and the colours set off beautifully by each kit’s distinctive hardware pack. We have topped both sets with Aquarian Texture Coated heads and new cymbals too: Sabian XS20 sets in brilliant finish – an excellent all-round/mid price cymbal range. 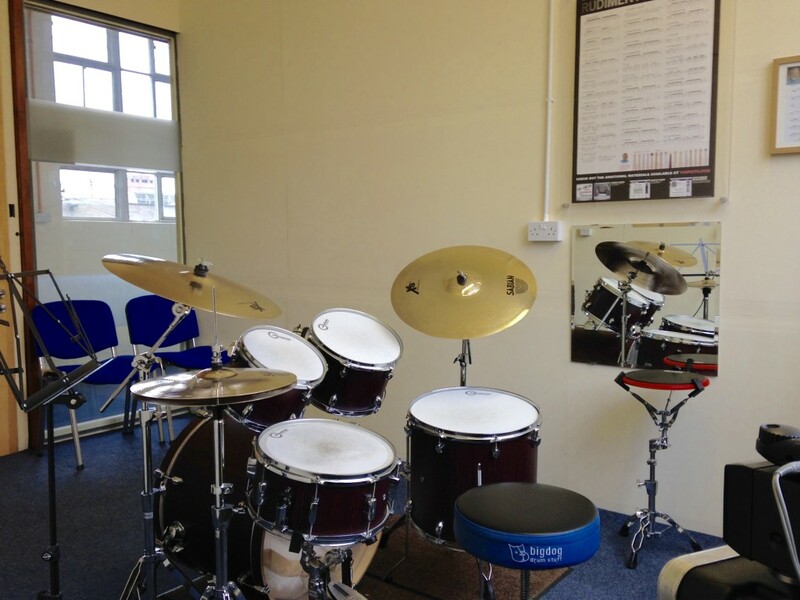 The kits sound amazing: our custom built rooms here do help as they are designed to support the natural acoustic properties of the drum kit, but this combination of great drums, cymbals and drumheads makes for an excellent, balanced and inspiring sound. I should mention the Mars bass drum pedal and hi-hat stands specifically here too, as everyone here has found them super-playable and I couldn’t agree more. New Mapex Mars set up: Studio 1, Dye House Drum Works. 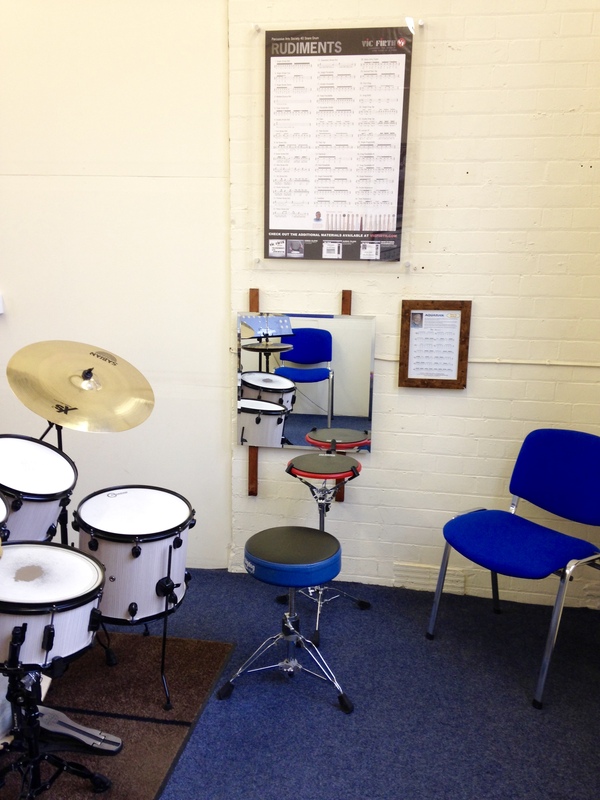 Each of our tuition studios is kitted out with an independent technical station, featuring Aquarian Tru-Bounce practice pads, a wall mounted mirror and Vic Firth rudiment charts. 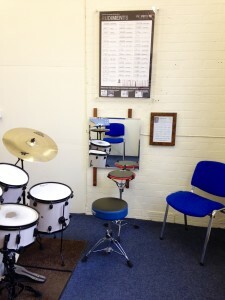 The mirrors are also aligned to be used while sat at the main drum kit. Audio monitoring for CD and MP3 playback is fitted in all our rooms, via a mix of Ramsa, Yamaha, Sony, Peavey and Jamo sound systems, plus Tama Rhythm Watch metronomes for more focussed technical and timing work. 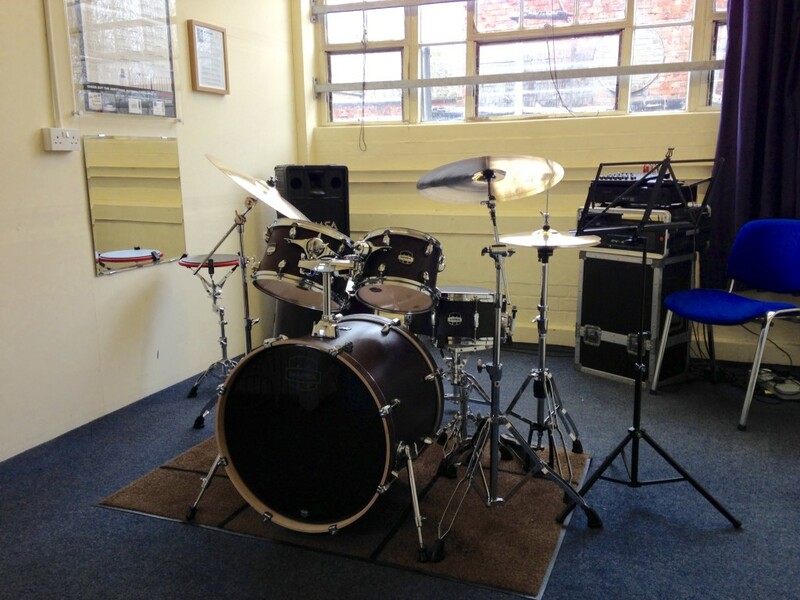 Mapex Mars kit is Studio 2, Dye House Drum Works. Mapex Mars: ‘Bloodwood’ finish, Studio 2.